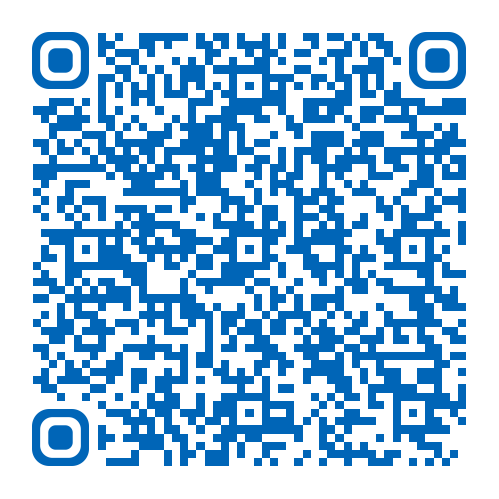 This leaflet has been produced to give you general information about your forthcoming high resolution oesophageal manometry and 24 hour pH monitoring. Most of your questions should be answered by this leaflet. It is not intended to replace the discussion between you and your doctor, but may act as a starting point for discussion. If after reading it you have any concerns or require further explanation, please discuss this with a member of the healthcare team caring for you or contact the Department of GI Physiology. 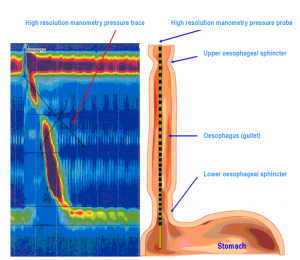 What is High Resolution Oesophageal Manometry and 24 hour PH monitoring? Following discussion with your doctor they advised that a high resolution oesophageal manometry and 24 hour pH monitoring is performed. A 24 hour pH monitoring measures the amount of acid coming up (refluxing) into the oesophagus from the stomach over a 24 hour period. This allows us to establish whether your symptoms are due to acid reflux. Why do I need high resolution oesophageal manometry and 24 hour PH study? The tests provide valuable information regarding your condition and will help to decide what the best treatment is for you (practical advice, medication or surgery). Unfortunately, there are no other less invasive tests available that will give us this information. The risk of causing serious harm to you with these tests is very rare but may include bleeding or damage to your nose, throat, larynx (voice-box) or oesophagus, there is no published information on how often these problems occur but it is very rare. Occasionally people may feel dizzy whilst putting the tube into the oesophagus, a member of staff from the Department of GI Physiology will care for you during your tests. You may commonly experience a runny nose, sore throat or slight discomfort on swallowing that usually goes away once the tube is removed. How do I prepare for the high resolution oesophageal manometry and 24 hour PH study? Please read this information leaflet carefully. Share the information it contains with your partner and family (if you wish) so that they can be of help and support. There may be information they need to know, especially if they are taking care of you following this examination. Please refrain from wearing make-up and do not apply moisturiser to your face or neck. It is advised that you should wear loose fitting clothing (ladies: skirt or trousers and a top i.e. separate items of clothing) as you will be required to pass the tube underneath your clothing. If you are on any medication for your heart, breathing problems or hormone replacement therapy, please continue to take them as usual. However, it is important that you stop taking any of the following (please discuss with doctor). If you need to stop any medication prior to the test please obtain antacids such as Gaviscon Advance from your GP or chemist. Take one dose after meals and an extra dose at bedtime. Please do not take any antacids on the day of the test. On the morning of the test please take any other medication that you would normally take with a sip of water. You should go to the Department of GI Physiology, which is situated next to Ward 14 at Castle Hill Hospital. You do not need to be accompanied by a family member or friend for this appointment. They will not be able to come into the room whilst you have the procedure performed but there is plenty of seating in the waiting area should you wish to bring someone with you for support. A member of staff from the Department of GI Physiology will meet and greet you and explain the procedure to you. This is to ensure that you understand the test and the possible side effects. You will be asked to sign a consent form if you agree to have the procedures carried out. A member of staff from the Department of GI Physiology will then start the procedure. Once this is completed we will have the information to place the overnight 24 hour pH catheter (tube). The pressure sensor tube is then removed and replaced by the much thinner 24 hour pH tube that is much more comfortable. This tube will stay in place for 24 hours. This new pH tube will be attached to a recording device (slightly bigger than a smart phone). Following insertion of the pH tube a member of the Department of GI Physiology team will explain how to use the monitoring equipment during the recording period and instructions for returning the next day. The process of placing both tubes takes about 60 minutes, after which time you will be able to return to work / home. It is important that you carry out your normal activities as far as possible during the 24 hour recording period to see if they might be related to your symptoms. There are minor restrictions on eating and activity, this will be explained to you at your appointment (you will press buttons on the machine and fill in a paper diary to give us this information). You should not shower or take a bath as it could result in damaging the monitoring equipment. You cannot take your normal anti-reflux or indigestion medication during this 24 hour period, as it will prevent accurate monitoring results. If you ignore the advice and take any anti-reflux or indigestion medication during this period you will be required to have the 24 hour pH test repeated. If required, a member of staff from Hull University Teaching Hospitals NHS Trust will be available for you to speak to 24 hours a day (contact details and telephone number will be provided when you attend the department). Please be aware that you will be required to return to the department the following day to have the pH tube removed. We will remove both the pH tube and the recording equipment from you. We would expect you to be in the department no longer than 15 minutes before you are free to go home or to work. The results of the test will be analysed before a diagnosis can be made. Once this is done the report will be sent to the consultant in charge of your care. They will decide what the most appropriate treatment is for you. You should expect to hear from the hospital within 4 weeks of having the test. If you have not heard from the hospital within 4 weeks, please contact your consultant’s secretary by ringing the hospital switchboard, on telephone number (01482) 875875 and asking for your particular consultant’s secretary.